The business leaders of today undoubtedly play major roles in influencing society’s aspiring, young entrepreneurs. College students and recent graduates feel a sense of empowerment and ability to start their own businesses, and more importantly, to run it how they want to. This is especially true when it comes to technology businesses. Tech firms in this generation go out of their way to think outside the box in every way possible to foster creative thinking and promote originality and imagination utilization. And in order to effectively impact employees on the inside, these companies focus a lot of efforts on making sure the overall environment – the outside- is consistent with their values and beliefs. Google, for example, one of the largest and most successful companies in modern times, has become known for turning their office spaces into virtual playgrounds. With slides instead of staircases, hammocks instead of office chairs, rooftop miniature-golf courses, and oversized plush toys all over the place, it’s gotta be quite difficult to hate coming into work every day. Bringing this a step closer to further influence employees’ inner thoughts, would be changing the way they dress. Unlike jobs in Wall Street financial firms which demand strict business uniform consisting of a shirt, suit, and tie, online business and technology companies encourage the three C’s: casual, colorful, and comfortable attire, in order to enhance creativity and reflect the external modern look to the inner thoughts and ideas. When we think of casual-dressing business kings, we often picture entrepreneurs such as Mark Zuckerberg and David Karp. Zuckerberg, the CEO of the second to most popular website in the world, attends meetings in hoodies and jeans. David Karp, the CEO of Tumblr also dresses how he pleases. They do it because they can, and they do it because they don’t care. Informal is the style in their industry. Now we look at Garrett Gee. 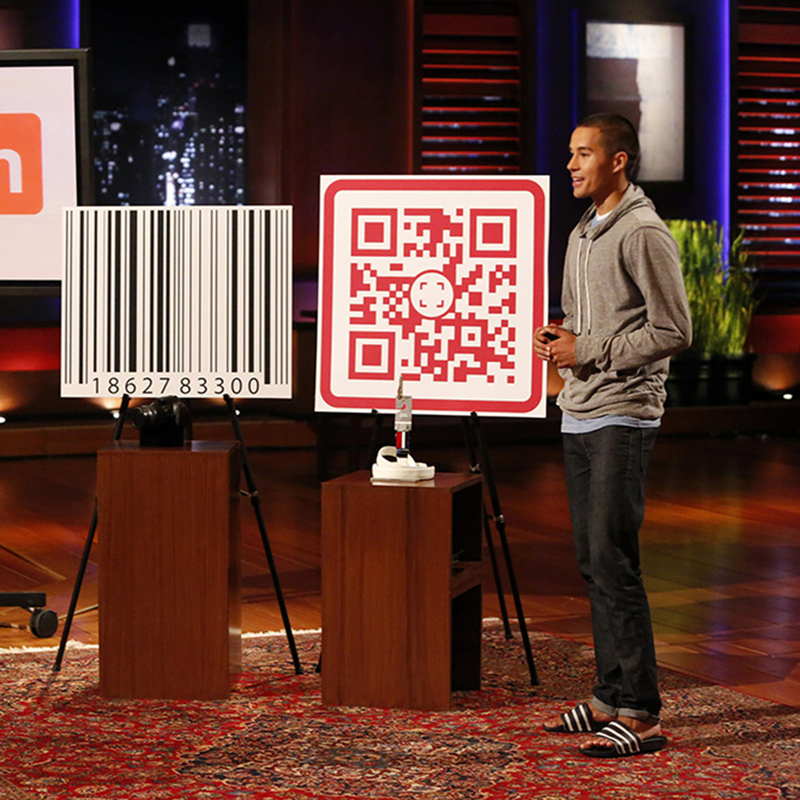 The young college kid who came into the Tank asking the Sharks for $1 million dollars in exchange for 5% of his app – Scan. He came into the Tank asking the Sharks to become his business partners. He came into the Tank and stood in front of four multi-millionaires and a billionaire seeking their wisdom and experience. He came into the Tank looking to accomplish a tremendous goal and change his life. He came into the Tank in flip-flops and a hoodie. Jaw-dropping. Mind-blowing. The Sharks are not almighty, immortal beings. But the Sharks do have the ability to change an entrepreneur’s life and business in a matter of minutes. Why would anyone in their right mind dress like they are going to the beach when they are in fact going to secure a deal? Is there no respect? Is there no sense of humility and diffidence?! There are clearly two sides to argue here. On one hand you can argue that Gee and all others like him are wrong and absolutely lack this sense of humility and respect. They should have dressed up for the pitch just like the Sharks did. On the other hand, you can argue that Gee, like Zuckerberg and Karp, dressed appropriately based on the industry he was representing. Gee should have dressed in a way that matches his vision for his company, and therefore he did not do anything wrong. As you may have gathered, I side with Robert Herjavec. Robert seemed to be quite shocked that a kid in flip-flops was asking him to become his business partner for a million dollar price tag. Gee’s wardrobe choice was inappropriate and quite frankly, arrogant, and judging on this alone he did not deserve a deal in the Tank. Now the question is who do you side with? Did Gee dress inappropriately for an entrepreneur walking into the Shark Tank, or did he dress in an acceptable fashion based on the industry and company he was representing? (State your opinions in the comments below).